I used China Glaze's Pelican Gray (one of my favorite colors) and NYC's Starry Silver Glitter. I dulled it out with China Glaze's Matte Magic because frankly, I wasn't feeling shiny today. Like I said...too cold! Don't forget to request your free graphic! 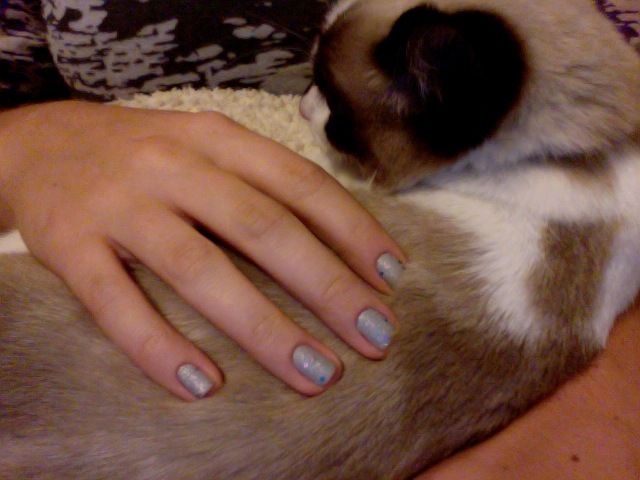 Edit: This is my little blog and nail helper, Nugget. She thinks it's getting cold too. This really does look like the floor after a party! I love the combo and will have to try it myself.